Produced by Tilted Windmills Theatricals’ two-time Tony Award winner John Arthur Pinckard and Broadway veteran David Carpenter, “Puffs” is a Harry Potter inspired comedy for anyone who has ever felt like a secondary character in someone else’s story. The play gives audiences a new look at a familiar adventure from the perspective of three new heroes just trying to make it through magic school. "Puffs: Filmed Live Off Broadway"
The highly acclaimed and rollicking hit comedy is about to get the big-screen treatment when "Puffs: Filmed Live Off Broadway" comes to U.S. cinemas for a two-day event this May. "For seven years, a certain boy wizard went to wizard school. This, however, is not his story. This is the story of The Puffs… who just happened to be there too. A tale for anyone who has never been destined to save the world." At the request from fans all over the world, "Puffs: Filmed Live Off Broadway" was captured in front of a live audience. Shot over two performances in February 2018 during the show's unstoppable open-ended run at New World Stages, moviegoers will experience the stage production in a whole new way on the big screen. Audiences can expect the unexpected, including close-up shots, multiple angles and an exclusive look behind the curtain of this clever and inventive play. The New York Times proclaimed "Puffs" as, "A FAST-PACED ROMP through the 'Seven Increasingly Eventful Years at a Certain School of Magic and Magic.' 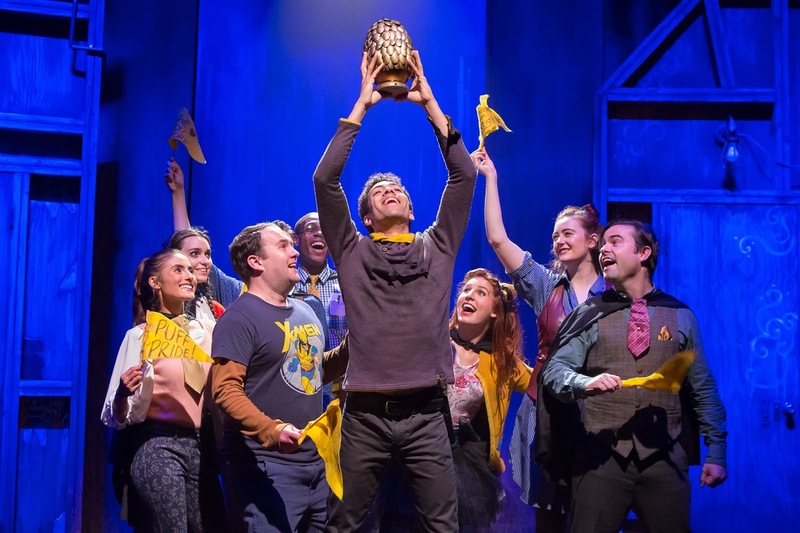 For POTTERphiliacs who grew up alongside Potter and are eager to revisit that world, 'Puffs' exudes a jovial, winking fondness for all things Harry!" Produced by Tilted Windmills Theatricals' two-time Tony Award winner John Arthur Pinckard and Broadway veteran David Carpenter, "Puffs" is a Potter-inspired comedy for anyone who has ever felt like a secondary character in someone else's story. The play gives audiences a new look at a familiar adventure from the perspective of three new heroes just trying to make it through magic school. "This epic secondary storyline, imagined from one of the world's most famous wizarding sagas, has maintained its popularity with fans for years," Fathom Events Chief Content and Programming Officer Gordon Synn said. "'Puffs: Filmed Live Off Broadway' now offers those fans a unique new way to experience this hilarious twist on a classic story, proving that underdogs can be the heroes." "Our fans have meant the world to us since the very beginning of the production and every week we continue to delight audiences in New York," said David Carpenter, Producer. "This incredible partnership with Fathom will allow us to bring the magic of the show and our incredible cast to our fans across the country and invite whole new audiences to experience the joy that is Puffs." Fathom Events and Tilted Windmills Theatricals partner to present "Puffs: Filmed Live Off Broadway" in more than 600 U.S. cinemas on Wednesday, May 9 at 7:00 p.m. and Saturday, May 12 at 12:55 p.m. (all local times), through Fathom's Digital Broadcast Network (DBN). 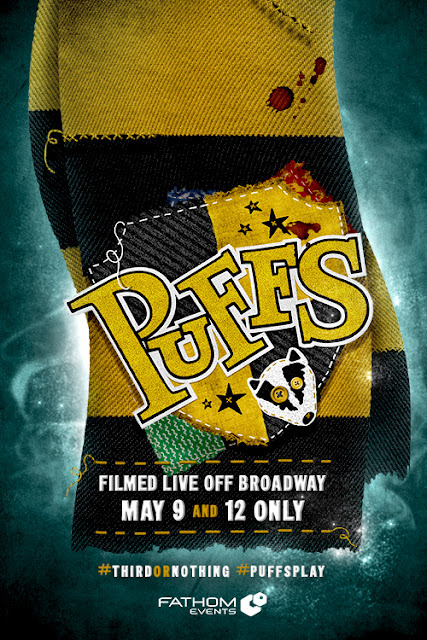 Tickets for "Puffs: Filmed Live Off Broadway" can be purchased beginning Friday, April 6 at FathomEvents.com or participating theater box offices.